Some things in life can be simple. There is so much on my mind these days. Things to accomplish, ideas to share, blessings to be thankful for. How often I have sat in front of this tab on my browser, “Add New Post,” eager to write a new blog entry. Yet each time I am tangled between so many different threads of life and thought, that my mind is left speechless. Numb, even. I type a line or a phrase. Pause. Then highlight and delete it. Before I can complete a thought, I am taken away by a work meeting, an errand to run, a class to teach, or just boring old exhaustion. Hours, days, weeks later; I have a few empty drafts and nothing new. So here come my few centavos worth of thoughts, hoping to break this cycle of silence. And like most of my writing, it is less for the sake of being heard by others, and more to able to hear myself. 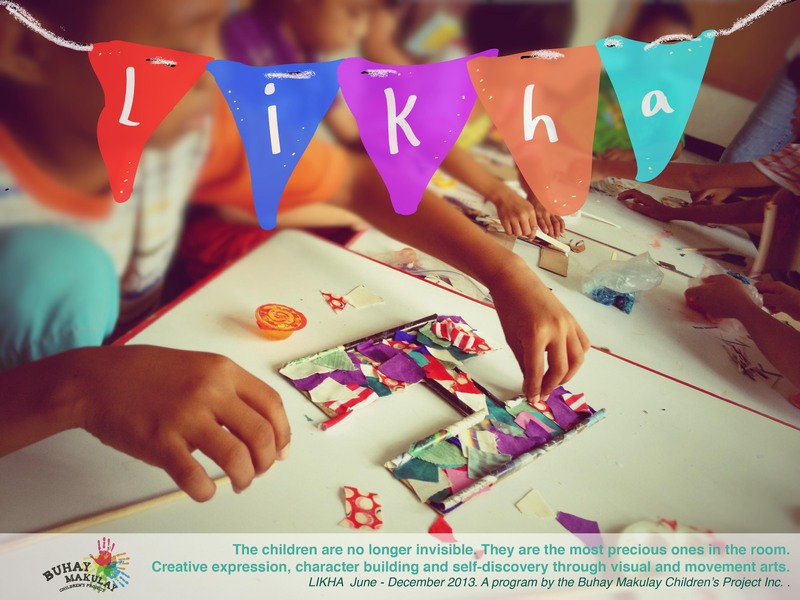 Yesterday, was the seventh workshop day of Buhay Makulay’s Likha Workshop series (7/10). To close off our volunteer’s debrief after lunch, I asked my team to go around the circle and share how the children pointed them to God that morning. One sentence. After they had all shared such beautiful and sweet spoonfuls of joy and learning, I was left with a reminder for my own heart that I in turn shared with them: Some things in life can just be simple. There are things in life that will choose to be complicated. They will complicate themselves on their own without your help or desire. They will even refuse to be anything except complicated. A problem at work. A quarrel with your best friend. What to order at your favorite restaurant. But, there are things in life that don’t have to be complicated at all, even if our human minds perceive them so. Like the truth that God is good. The human longing to belong. The desire to achieve a lifelong dream. The love of a father for a child. How to get to your afternoon meeting. Who to invite to your birthday celebration. Or what to cook for breakfast. I have been very very very busy for the past few months. Probably the busiest I have been in the past year. In the midst of the craziness, I am finding clarity. In the overabundance of life happenings, I am almost forced to sift through all of it, looking carefully for the things that actually carry weight, to keep me grounded. The things that are worth holding on to, worth setting my eyes on. I’d like to think I am continuously in the process of simplifying my life. This is not only the process of removing objects from my possession. Neither is it a mere reduction of activities, commitments or hobbies. It goes deeper into the surface than that: It is a paring down of the things that I regard with value. These, we can choose. When those things are clear and simple in your heart, no earthly complication can corrode it. Through the complexity, the truth will speak simply. 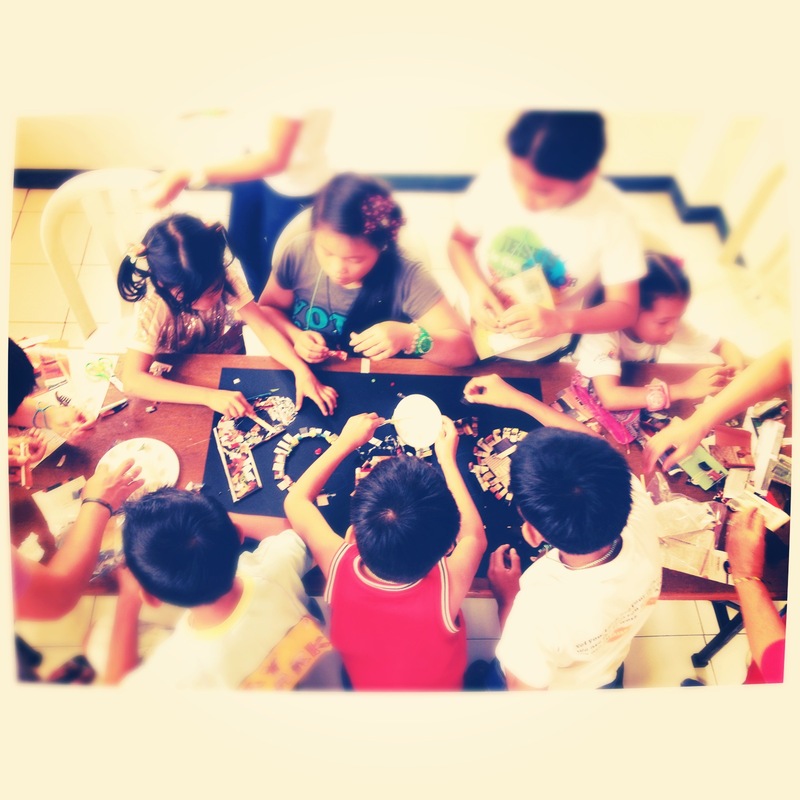 How did I come to reflect about simplicity with my Buhay Makulay kids? I don’t know exactly. But in their company, the world somehow simplifies itself. Perhaps it is because we are taken away from our usual hectic daily-grind environments, where we are eaten up by worries both big and small. For the children, these worries on any given day could include where their next meal will come from, how they cannot go to school because of a parent’s illness, or a recent death of a family member. Mine, though not as grave and often tied less to immediate need, tend to feel just as urgent. Yet the joy on the children’s faces will seldom reveal the losses of which they suffer or the needs that cannot be fulfilled. They will leave their worries at the door and enjoy a moment with you. With the swing of their voices in my ear as they tell me about their artwork, I know we are friends. And this friendship is simple. This moment is simple and true. Let the world be complicated; but draw near to the things that keep you simply and genuinely you, without muddling for achievement, recognition, prize or gain.